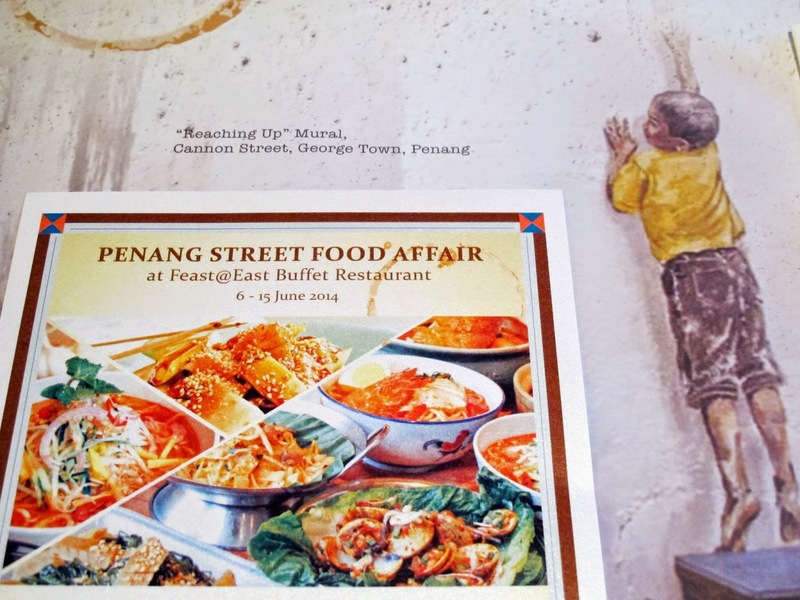 Was invited to try Feast@East Buffet's Restaurant new spread of Penang street food a few days ago. Frankly I never had a taste for spicy food so I was on the edge about it before I went. 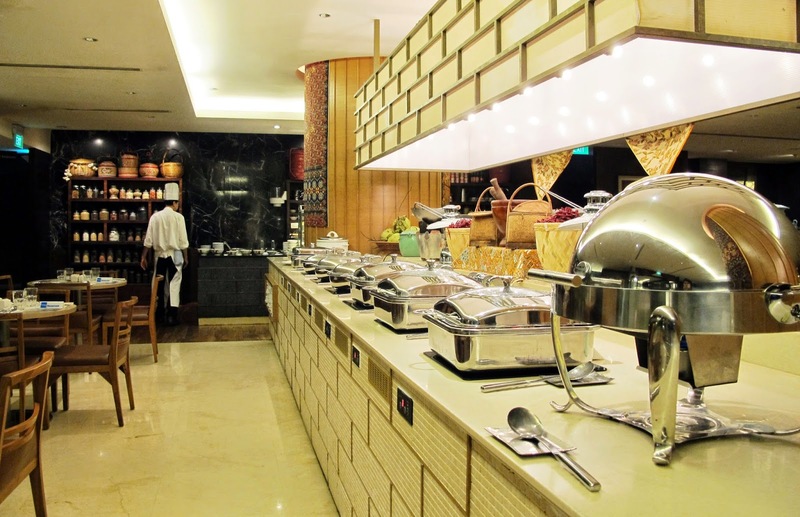 Feast@East is a buffet restaurant inside Grand Mecure Roxy Hotel which usually serves an international spread of food. 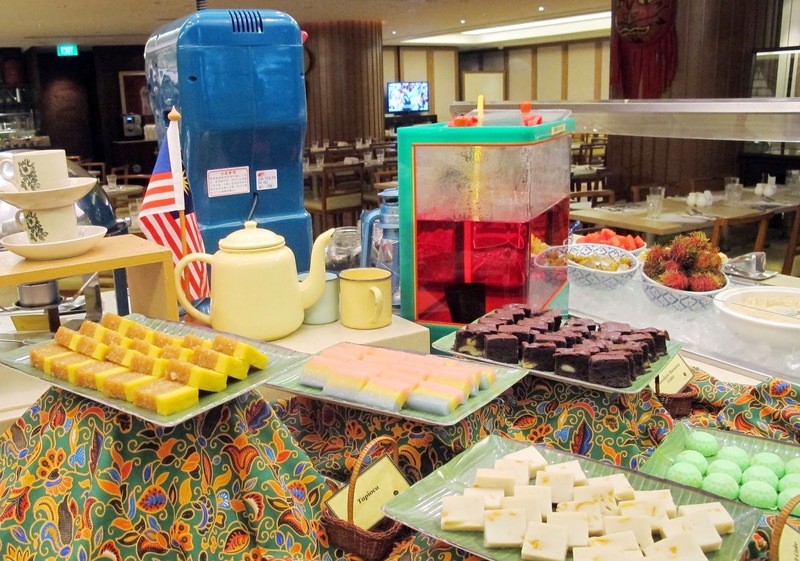 For a limited time only (till 15/6/14), they are dishing out popular Penang street food like Assam Laksa, Penang Kway Teow and a colorful array of desserts on top of some typical buffet dishes like fresh seafood and fruits. 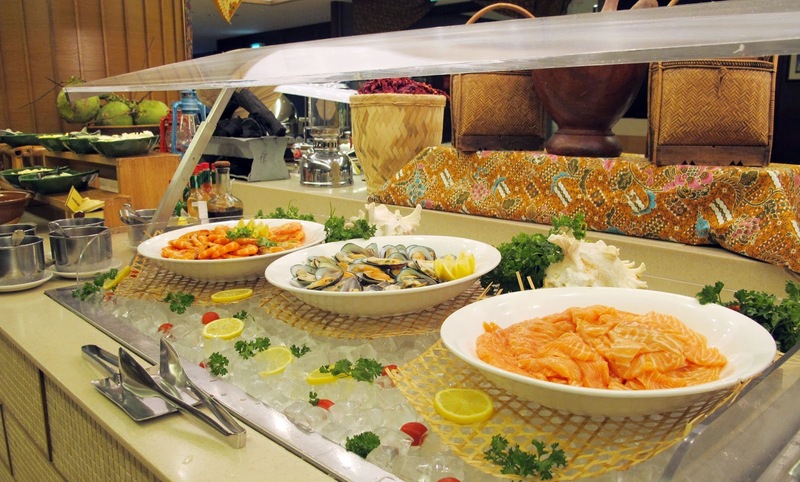 No buffet is complete without these! 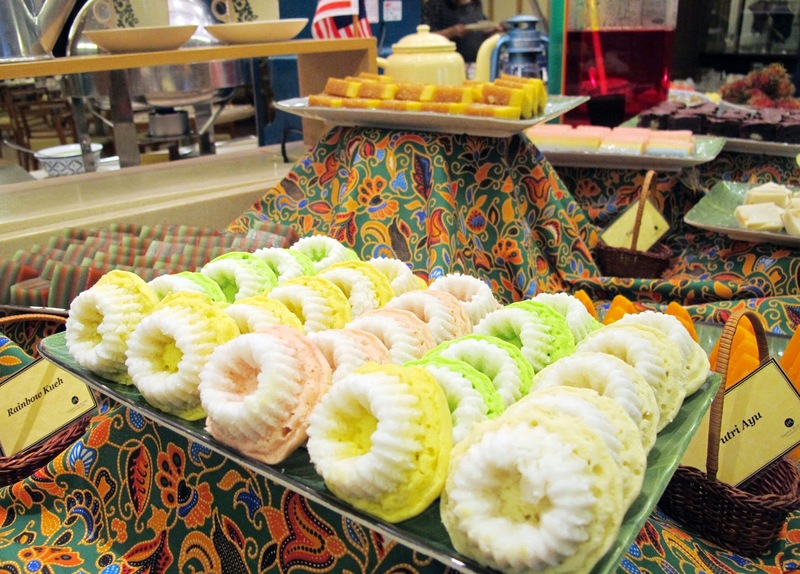 I especially loved how the colorful dessert area was adorned! 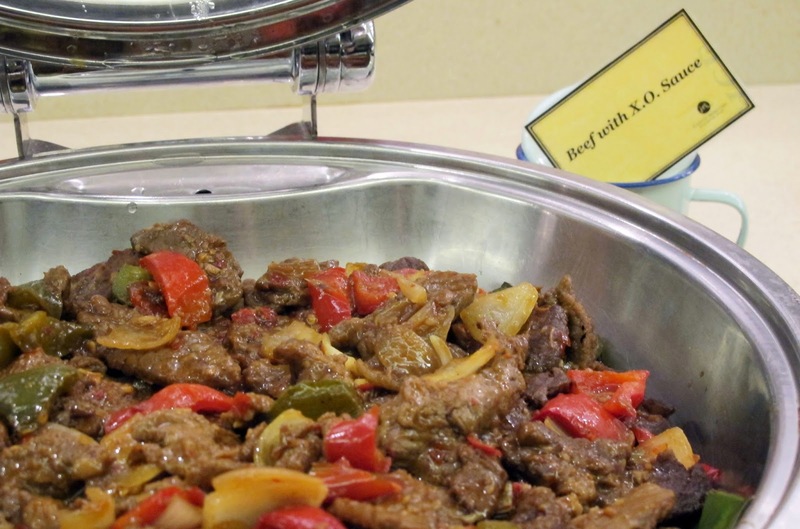 I sampled a few of their specialities - Chilli Crab, Beef with X.O. Sauce, Steamed Beancurd with Oyster Sauce and Assam Curry Fish with Yam Rice. It was actually really good! 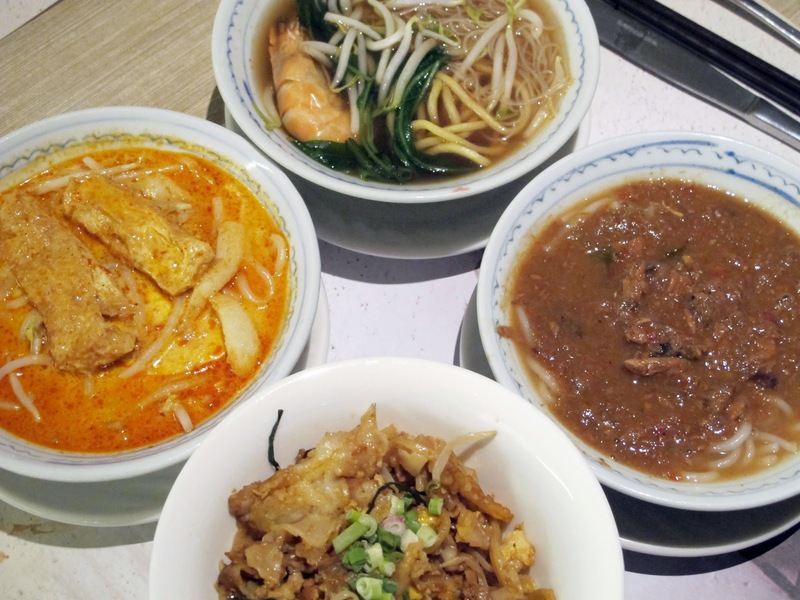 Top, clockwise: Prawn Noodles, Assam Laksa, Penang Kway Teow, Laksa. 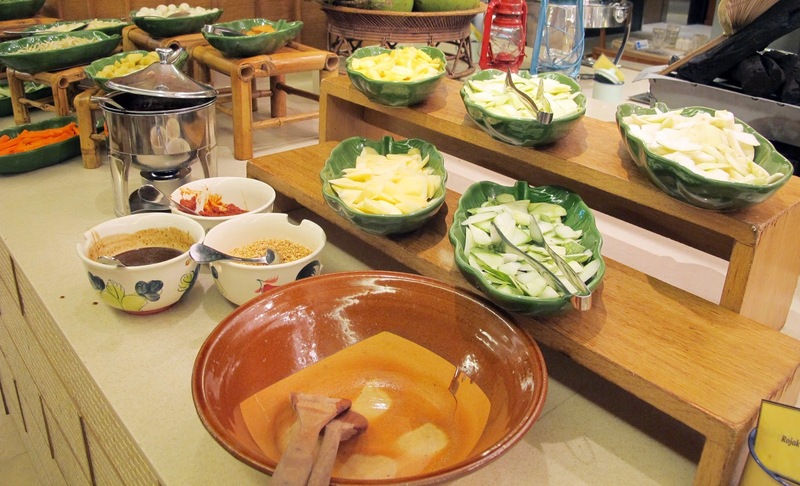 Besides the help-yourself setting, there's also a station for fresh and on-the-spot cooked food which I truly appreciate. 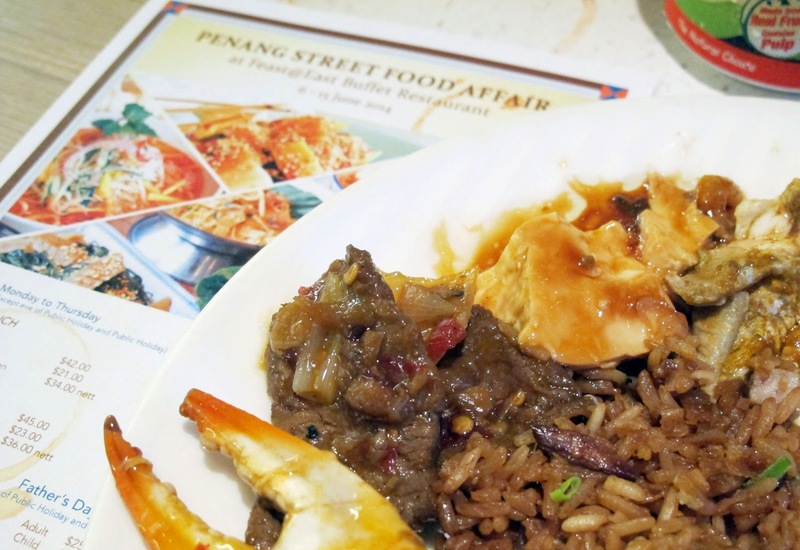 They serve prawn noodles, laksa, Penang kway teow, assam laksa and freshly shucked seafood. The assam laksa has gotta be my fave food from their Penang spread!!! 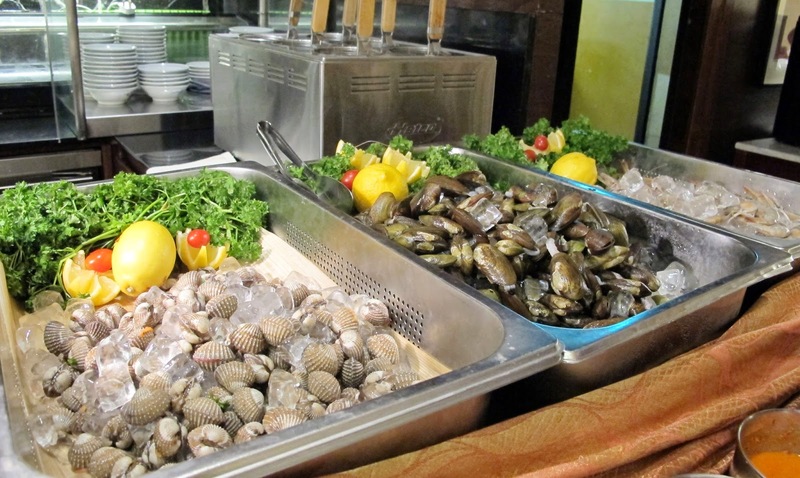 I've never tasted anything like that and I thought it was nice to incorporate traditional food in modern hotel buffets. Definitely recommend this place to please daddy's palate this Fathers' Day! Mention "Eastie Brekkie" for 10% off their Fathers' Day promo from now till 15/6!